Rollin' down the river with Proud Mary and her krazy krewe! : I can wear clothes! 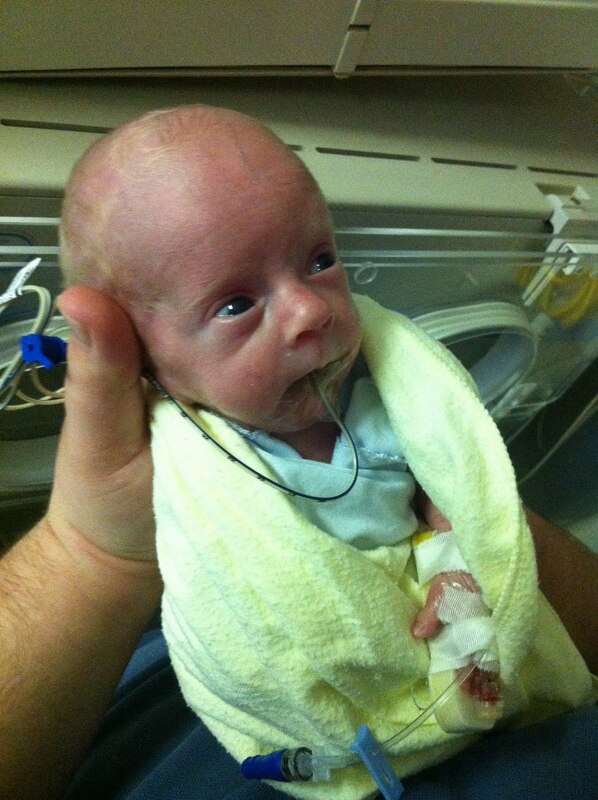 Today was the first day Liam was put in clothes! AHH! It's the little things that you take for granted when you have a healthy baby, like being able to dress them automatically. After many weeks, Liam was finally able to not be naked 24/7. Once I knew he could wear clothes I was on the hunt for preemie outfits. I had no idea Target wouldn't carry preemie clothes. Luckily, Babies R Us had a great selection of preemie stuff! I picked up a pack of preemie onesies and preemie diaper shirts. I think he looks just adorable in the, don't you agree?